Part of the Esri Geospatial Cloud, ArcGIS Online enables users to connect people, locations, and data using interactive maps. Using smart, intuitive analytical tools that deliver location intelligence and authoritative data, people can share insights with the world or among specific groups. The latest release of ArcGIS Online adds many useful new features and enhancements to its capabilities. AppStudio for ArcGIS lets users turn maps into beautiful, consumer-friendly mobile apps ready for Android, iOS, Windows, Mac OS X, and Linux. Branded apps can be published to all popular app stores – no developer skills required. With AppStudio, organizations on the ArcGIS platform now have the ability to build cross-platform native apps easily. AppStudio now also supports Enterprise Mobile Management (EMM) software to read and overwrite some default settings for iOS and Android devices, so users can manage and secure apps and data across mobile devices. Symbol sets have been updated in Map Viewer. The Emergency Management symbol set has been renamed to Public Safety and includes new symbols. This symbol set also replaces the Safety & Health symbol set, which has been retired. The Local Government and State Government symbol sets have been combined into a single Government symbol set, which also includes new symbols. Users can also now display georeferenced photos on a map by uploading a .zip file containing them. Generate Tessellations is a new tool that creates bins over a study area, determined by a specified extent, shape, and size. Tessellations are useful because they allow users to split geography into regular shapes that support many thematic mapping tasks, enabling patterns to be seen much more easily. The Elevation Analysis privilege is no longer required to run the Create Watersheds, Create Viewshed, or Trace Downstream tools. Therefore, these tools will not accrue credits when used. And the Browse Layers window has been updated to improve the experience of browsing to, and adding, analysis layers from within the tool pane. Users can access the window by choosing Browse Layers from the drop-down menu of compatible tool parameters. 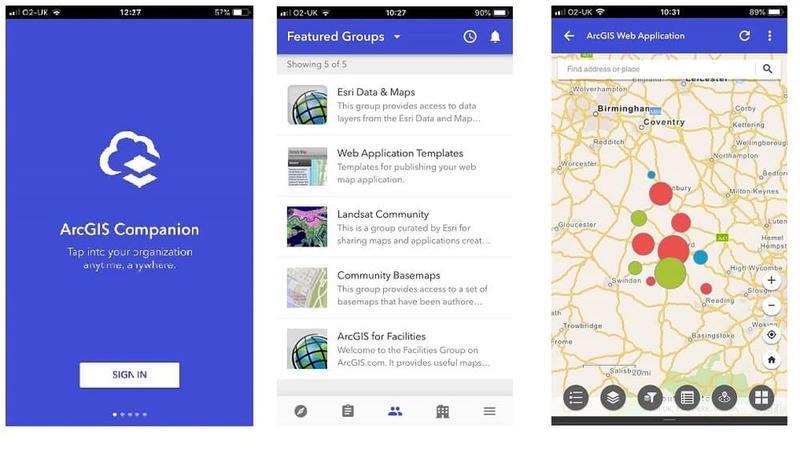 ArcGIS Companion makes it easy to access an organization from a mobile device. In addition to the mobile browser option (just use a URL), users can now access their organization using this companion mobile app for iOS and Android. Anyone can access their organization anytime, anywhere, to explore content, view groups, edit their profile, and more. 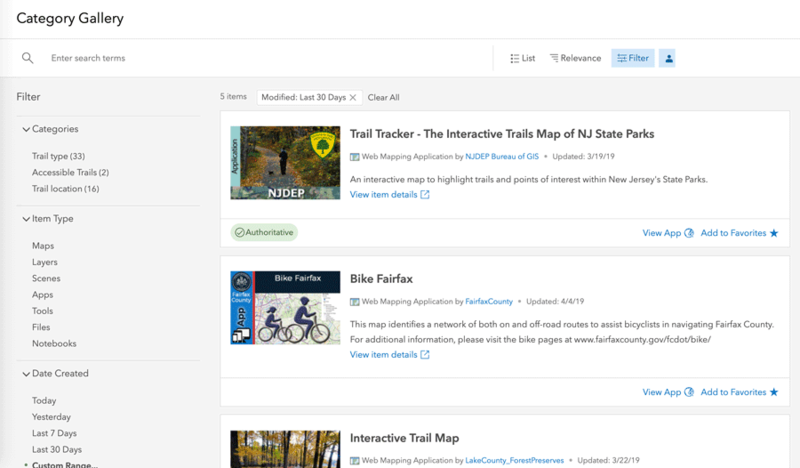 Other new updates include sharing a group via social media or with a URL, enhancements to the Discover page, and more options for managing members. The workflow for adding a member or inviting them to join the organization now includes steps to assign add-on licenses and add the member to groups. If an organization has set up enterprise logins, administrators can invite a member to join using their enterprise login. The Organization page has a new option for administrators to add a member to multiple groups at once. The OpenStreetMap vector basemap maintained and hosted by Esri, can now be accessed as one of the standard basemaps. Small areas can be exported for offline use. 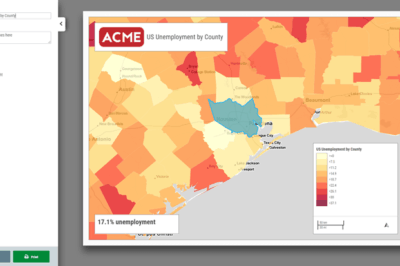 The new Community Maps Editor app (Beta) lets users add detail into an area of interest and enhance Esri’s basemaps. Users can create building footprints, athletic fields, walking paths, trees, and more. Demographic maps for the Netherlands, Switzerland, New Zealand, and several other countries in the Middle East and Latin America have been updated using the latest data from providers. Learn ArcGIS is a website containing timely and engaging guided lessons that are based on real-world problems, covering the entire ArcGIS platform. Whether new to GIS, or a seasoned analyst, Learn ArcGIS has resources to help users build their GIS skills. Learn ArcGIS has recently published new resources, including a webinar on climate change mapping that shows users how they can use ArcGIS Pro to analyze climate data. 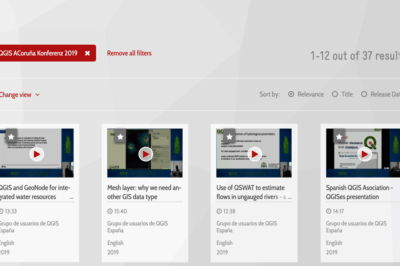 Demonstrations shown at the Developer Summit 2019 plenary are being published in the Learn by Doing blog series. The first is Calculate Drone Corridors for Package Delivery which uses raster functions and the ArcGIS API for Python. In addition, several new lessons, from deep learning, to search and rescue, to interest rate mapping have been published. 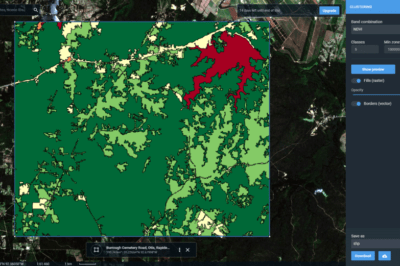 Collector for ArcGISenables the use of a smartphone or tablet to collect and update information in the field, whether connected or disconnected. Collector for ArcGIS can now be used alongside another app in Split View mode. Collector now supports taking maps with the World Topographic basemap offline in on-demand map areas. A single-page field guide for mobile workers is also available. Collaboration—Users participating in a distributed collaborationcan share hosted feature layer views as copies between ArcGIS Online and ArcGIS Enterprise 10.7 portals. 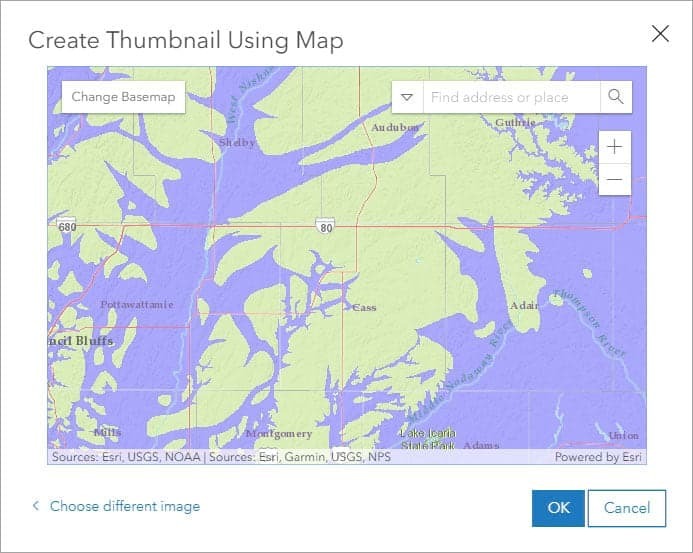 Also, as an alternative to uploading an image, users can now create a custom thumbnail for their layer or map item by interacting with a map using Create Thumbnail Using Map. Data Management—A new job status is available when users rebuild a scene layer’s cache. Depending on the complexity and size of data, rebuilding the cache can take a long time. The job status helps monitor progress and, if the process fails, it provides a link to log files to help troubleshoot the problem. Accounts and Administration—ArcGIS Online now has more rigorous password requirements for new and updated accounts. A new password strength meter helps users and organization administrators create secure passwords. If an organization has set up enterprise logins, it can now add members automatically using their enterprise ID. Users can also now assign add-on licenses to members during the invitation process. When the member accepts the invitation to join the organization, they’ll have immediate access to the apps and data assigned. These new updates to ArcGIS Online give users access to a whole new scale of location intelligence, and businesses and organizations of every size and purpose can use it to break new ground and digitally transform. For more information and additional details on the latest updates to ArcGIS Online, see the What’s new help topic at Esri.com.